My dear Godbrother Yasomatinandana passed away this morning in hospital from cancer of the stomach. He had seen his grandchild yesterday for the first time, and had said his farewells to all. Around 8.30 am, while his son Ramananda was chanting softly with him at his bedside, he fell silent, closed his eyes and peacefully departed. A blessed death! 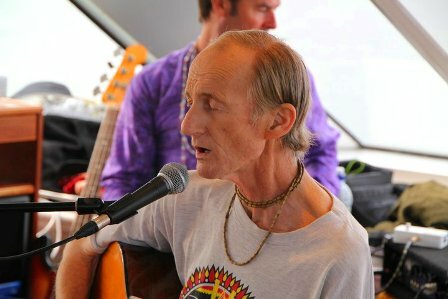 He joined us exactly one month ago on May 20 for our 40th Anniversary celebrations and Prabhupada Disciples Reunion, and was at that time 2 weeks into a course of chemotherapy. 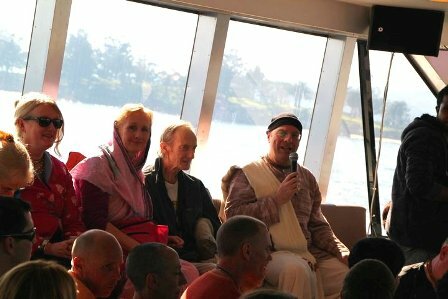 The photos here were taken on our kirtan cruise on Sydney Harbour where Yaso sung for us all for the very last time. 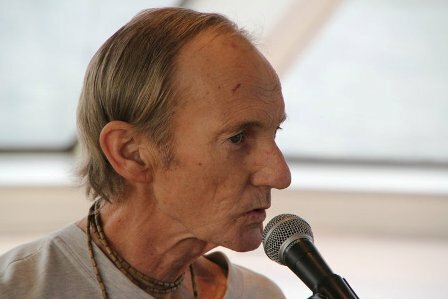 We are happy that his pain was short-lived, and we are confident that Yaso has been able to enter into transcendence, having devoted the best years of his life to the sacred Sankirtana Movement of Sri Caitanya. Farewell Yaso. Thank you for your association. 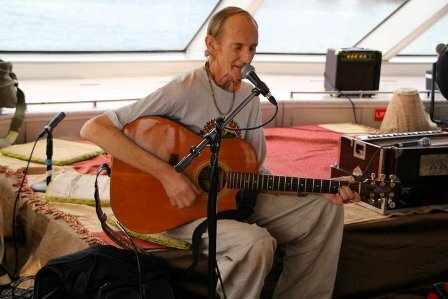 Thank you for your great kirtans. Thank you for your comedic brilliance and rapier-sharp wit. And thank you for those tens of thousands of sacred books you distributed in every town and village of Australia. We will miss you.